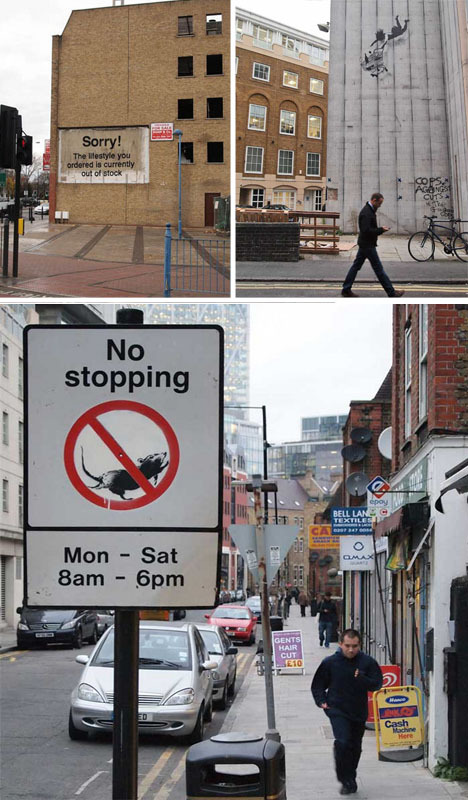 When the games are in town, street art abounds, with locals and visitors alike responding to the huge city-shifting influx of infrastructure and viewers. 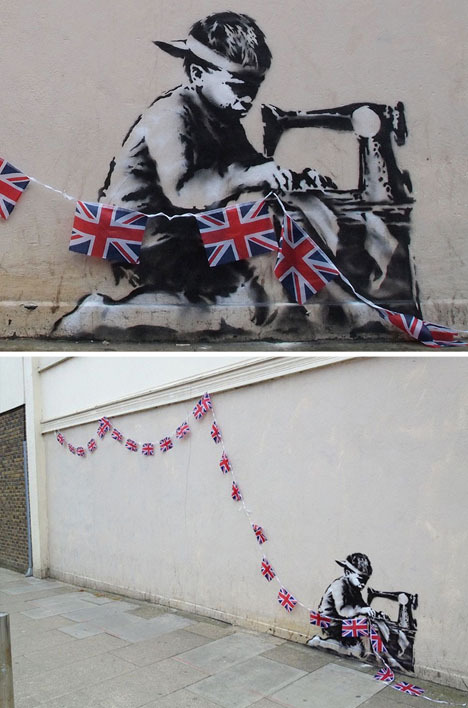 For his part, UK-native (but international man of mystery) Banksy mixed in his traditional themes of war and oppression, or remixed them, as it were, in a fresh(ly painted) take on this global spectacle. Still, this work goes a bit beyond your typical Banksy pieces, incorporating actual objects in the mix. Typical bunting, for instance, breaks down and becomes part of a commentary on child labor, also mixing mediums to incorporate real three-dimensional flags overlaid on a two-dimensional stencil. 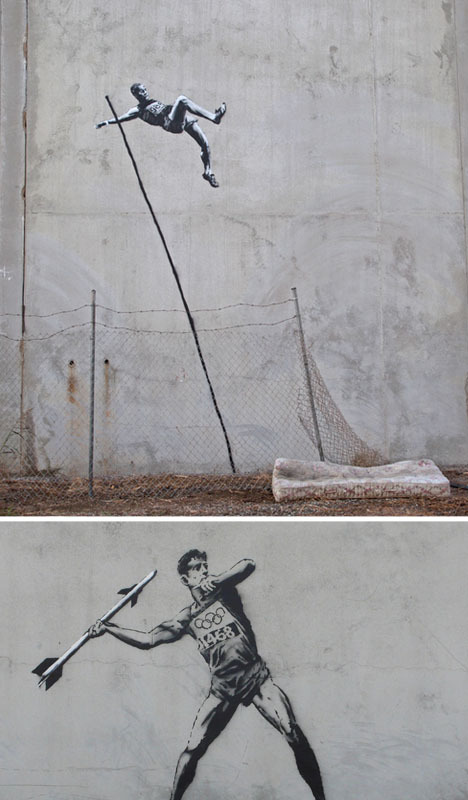 A pole vaulter appears to be jumping a barbed-wire metal fence, intent on landing on an old discarded mattress. 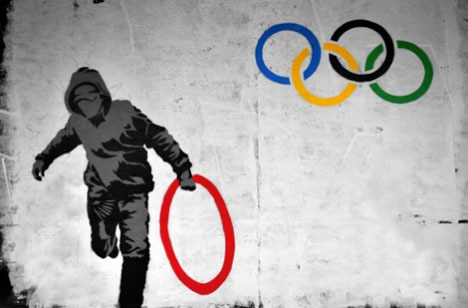 One has to wonder if there are more works on the way, or extant but simply yet to be featured on his website – the consumerism around the Olympic Games seems like a hard mark to pass up for someone intent on related commentary.